Change the image width and set the height to fit the width. Change the image height and set the width to fit the height. Save the resized image as a new file. 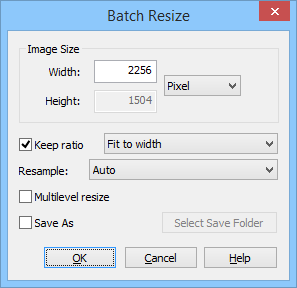 Select a folder to save the resized image as a new file. The default is the current folder.